While pregnant with Wyatt, I discovered that most conventional baby products contain toxic ingredients that are known or suspected to be harmful to humans or that have never been tested for safety. And I was surprised to find that many of the products that claim to be “organic” or “natural” are made with only some organic or natural ingredients and consist primarily of the same harmful chemicals found in regular products. Months of searching revealed that finding all-natural products was not easy. I found that, while a lot of the baby superstores carry some natural and organic products, the selection is extremely limited and the products are hard to find in the overwhelmingly large stores. Specialty green stores aren’t any better. No single store carries everything necessary to raise kids in a green way, and most stores tend to focus on only one or two manufacturers. I started buying products but found that many of them did not meet my needs in one way or another, and I hated that I was wasting so much time and money and couldn’t find any help for choosing products. I started One Part Sunshine because I saw an obvious need for a place where parents can find everything they need to grow green kids. 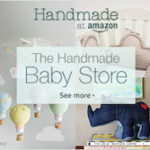 Parents need a place where they can find a wide range of options for natural and organic products for mom and baby. More importantly, moms and dads need a resource to learn more about green products and the importance of using these products during the prenatal and postnatal stages. 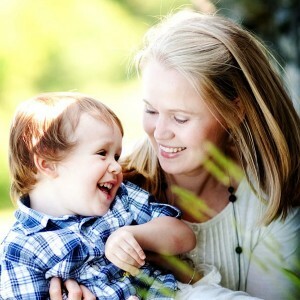 One Part Sunshine provides a complete listing of organic and natural products for mom and baby and includes features that make it easy to find and buy the products. One Part Sunshine also offers a ton of articles about raising your baby green, everything from what ingredients to avoid while pregnant to how to choose safe toys. We offer the opportunity for ratings and recommendations on each product so that parents can benefit from the experiences of other parents and make informed decisions. Moms and dads can use the discussion boards to further discuss products as well as other aspects of parenting naturally. Given the sheer number of products listed on One Part Sunshine, it would cost too much to sell them all directly. Instead, I provide direct links to the manufacturer’s or a reseller’s website where you can purchase each product. I try to find the sites offering the lowest prices. I feel that the savings to the customer outweighs the inconvenience caused by having to purchase products on external sites. For more information on how this whole process works, visit the FAQs page. While pregnant, I discovered that most conventional baby products contain toxic ingredients that are known or suspected to be harmful to humans or that have never been tested for safety. And I was surprised to find that many of the products that claim to be “organic” or “natural” are made with only some organic or natural ingredients and consist primarily of the same harmful chemicals found in regular products. I started One Part Sunshine because I saw an obvious need for a place where parents can find everything they need to know to grow green kids. Parents need a resource to learn more about green products and the importance of using these products during the prenatal and postnatal stages. In addition to the blog, One Part Sunshine offers a ton of articles about raising your baby green, everything from what ingredients to avoid while pregnant to how to choose safe toys. These articles serve as your how-to guide for parents who are just getting started with green parenting. 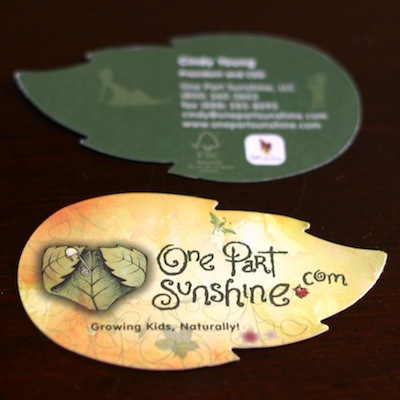 One Part Sunshine provides shopping guides of organic and natural products for mom and baby and includes links directly to where you can buy those products. Given the sheer number of products, it would cost too much to sell them all directly. Instead, I provide direct links to the manufacturer’s or a reseller’s website where you can purchase each product. In some cases, I receive an affiliate fee for referring you to these sellers (such as with Amazon).